Best product for optical media emulation. 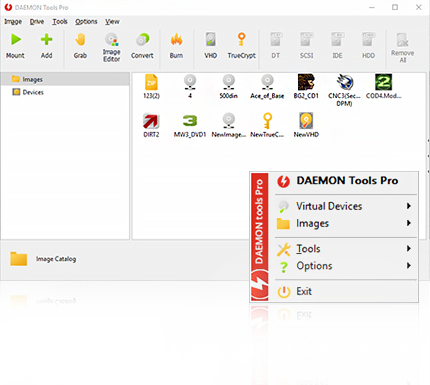 With DAEMON Tools Pro, you have ability to create up to 32 DT and SCSI virtual devices in all, 4 IDE and up to 16 HDD virtual devices. Advanced emulation features are available for SCSI and IDE devices only.